The family of an Indiana toddler who died on Sunday is warning other parents about the devastating potential of tick bites. 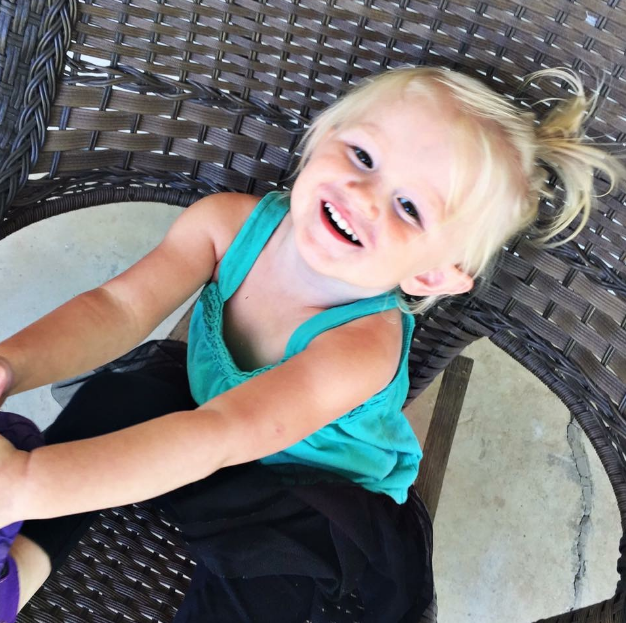 "This little angel" will save many other lives, 2-year-old Kenley Ratliff's grandmother, Rhonda Conn, wrote on a GoFundMe page that the family set up to help pay for hospital bills when the little girl first became sick. Kenley's symptoms developed a week or two after going camping, Dr. Chandy John, a pediatric infectious disease specialist who treated the girl at Riley Children's Health, told CBS News. "Maybe 10 days later, she started developing a fever and other symptoms, such as a rash, and she wasn't feeling well," said John. Before she arrived at the hospital, John said she was seen by other doctors a couple of times and diagnosed with strep throat. As her fever and fatigue continued, her family brought her to Riley Children's. But her symptoms continued to worsen and doctors there were unable to stop the infection. "As the infection progresses, your body responds very aggressively. There's a lot of inflammation and it can swell organs like the brain and cause inflammation in the blood vessels," John said. Eventually the inflammation can lead to organ failure. Blood tests that came back yesterday, after the child's death, confirmed that she was suffering from Rocky Mountain spotted fever, John said, an infection that's contracted through a tick bite. Kenley's grandmother wrote on the family's GoFundMe page, "I just cannot believe this is real. We were expecting a miracle and we wanted to bring her home." She also said, "I had no idea what this was." Doctors in Indiana don't see a lot of cases of Rocky Mountain spotted fever, which may have made it harder to diagnose early on. According to the Indiana State Department of Health, there were 40 cases of Rocky Mountain spotted fever there last year. The disease is on the rise in the state, according to CBS affiliate WTTV in Indianapolis, which also reported Kenley's story. "It occurs in Indiana, but it's not common here. A child who's tired and has a rash, that can be a lot of kids," said John. Rocky Mountain spotted fever got its name because the first cases cropped up in people bitten by ticks in and around the Rocky Mountains, and "spotted" refers to the rash many patients get. But, said John, "Not every child has the spots. Only 80 percent of kids and adults get the rash." Symptoms can also include a fever that's usually pretty high, fatigue, nausea, vomiting, muscle aches and a headache. Rocky Mountain spotted fever isn't just a disease of the mountain states; it is actually more common in the southeast and central U.S. now, said John. The risk of getting bitten by an infected tick is higher if you're out camping or hiking in areas where there are more ticks, but he noted, "It's occurred in urban New York, too." Mom shares scary photos of 3-year-old covered in "seed ticks"
Early treatment with doxycycline, an antibiotic used specifically to kill the bacteria, is pivotal. "Other anticbioitcs are not effective. It is this antibiotic that works against this family of organisms," said John. Wear long-sleeve clothing and tuck pants into socks when walking in woods or high grass. Wear clothing treated with the insecticide permethrin. Check yourself, your kids and pets after spending time outdoors. Use a very effective insect repellent, such as a product with 25 percent DEET for children. If your child develops a fever after a tick is removed, see your doctor as soon as possible. Keep lawn grass cut short. Stay on groomed trails while hiking. Kenley's family plans a "Celebration of Life" for her on Saturday, June 10, at Hazelwood Christian Church, in Clayton, Indiana.